We’re having a Nippers Disco at the club on Saturday December 8. All age groups are welcome! Entry is $10 which includes pizza and a drink – doors open from 6pm. If you have any issues there will be a person available to assist you upstairs on Saturday before training. 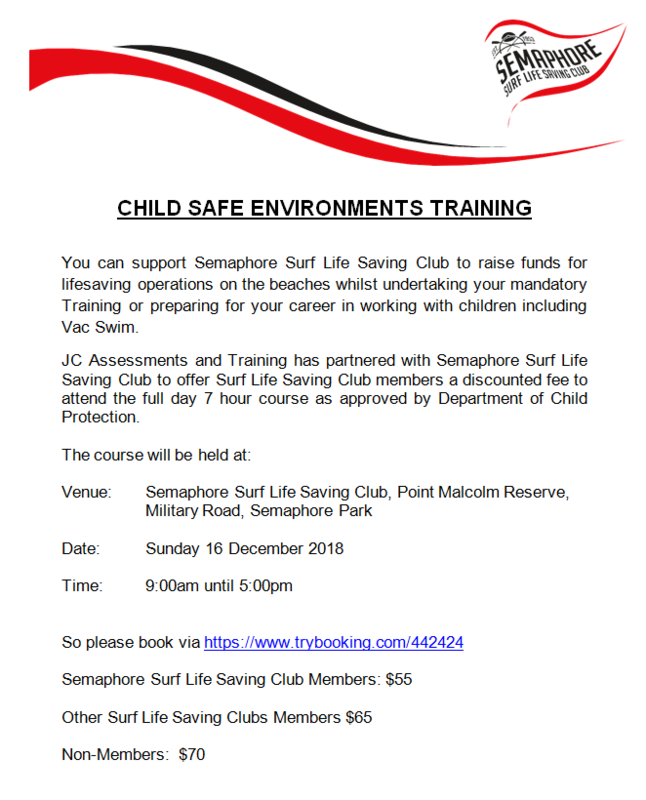 Whilst it is a requirement of the Semaphore Surf Club for you, or a nominated guardian, to oversee your child’s fun on the beach during training, its also a great opportunity for you to interact with your child and other parents in a great community activity. Semaphore has long been referred to as a Family Club, and we believe that Surf Life Saving is a fulfilling family experience for all. In a bid to help less fortunate families we are asking for all our Nippers to support the Uniting SA Christmas Appeal. Please drop a small non perishable gift into the box by the Christmas/Rescue Board. All donations will be delivered to Uniting SA on Friday 14th December. The first Junior Carnival is on this Sunday (18th Nov) at Glenelg. All nominations have been entered. Only the nominated juniors entered into the Event System will be allowed to compete. The undated events schedule is now available (see below), and a carnival time table will be distributed via your Age Group manager on the day as usual. As the events start at 8:30am we are requesting all participants to be on the beach at 8am. Please note – that there is no RnR or March Past scheduled for this carnival, and no points will be awarded to clubs. As such while flags and sprints will be run as usual, Water Events will be conducted as 2 rounds with all participants having the opportunity to participate in both rounds if they want to. Board Rescue and Iron Person take a bit longer so they have been scheduled either just before lunch or at the end of the day and will probably only see 1 round completed but will most likely run over time, this means that we need to be sure that the kids still get time to eat appropriately. An opportunity has presented itself for U13’s to train with the youth/senior group on Wednesday nights at Wests Lakes. Participants must be prepared to paddle on a mal, and while boards are available to be loaned from the club, you must organise the pick up of a mal from the club prior to training. To participate you must contact Sean McKenzie on 0428 953 000. As part of the Surf Ed for U13’s this year it is a requirement for RnR States and State Champ Competitors to have attained a SLSSA CPR Certificate. This Training will be available on 2nd December 2018 at the Club. Please Email Steph at juniorsec@semaphoreslsc.com.au to confirm your attendance. Please let me know if there is no possibility of being able to attend this scheduled training. **Note** If you have attained an SRC Certificate this training is not required. Semaphore SLSC Juniors now have their own Facebook group. This is a closed Facebook group meant for Parents of Semaphore Surf Life Saving Club Nippers and we will be posting all Junior Training and Carnival information via this group throughout the season. Use the link below to request access. Following the re-opening of the Club in the last few months, interest in booking our Clubrooms for functions has been high. Given the enhanced quality of the venue that has been created and our unbelievable location, it is not hard to understand why. As a summer venue, our offering is certainly second to none. So far we have hosted a Wedding for 120 guests, a 70th Birthday for one of Australia’s longest serving Female Senators, Engagement and Birthday Parties, as well as a celebration event for 30 years at Point Malcolm Reserve. As a Club we are now coming into our busiest period, with several Saturday night events before Christmas. The functions have been held for a mixture of past and present Club Members as well as members of our local community. 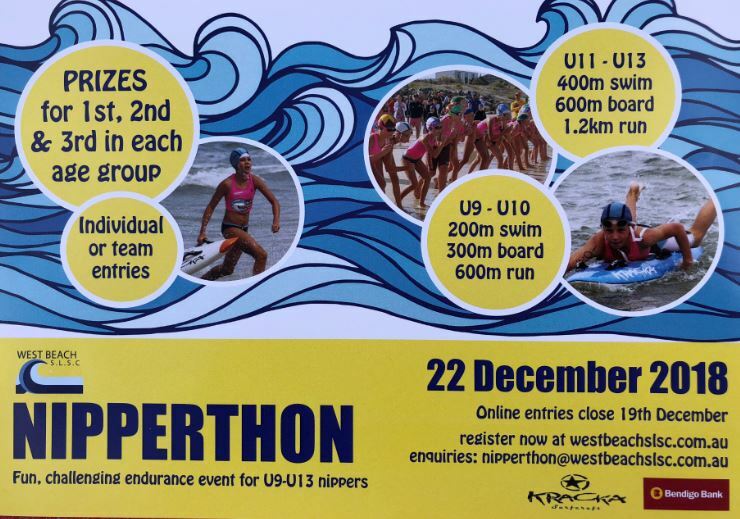 We have been able to showcase what a great club Semaphore SLSC truly is. The success of these events has only been possible with the help of many of our members, who have performed a number of tasks pre and post functions. There are too many individuals to mention, but it is really humbling when we receive such tremendous feedback from guests as to how accommodating and helpful Club Members are. From tasks including moving tables and chairs around before a function, vacuuming the floors prior to guests arriving (particularly after Nippers training), to serving in the Bar, and assisting the next day in letting Guest in to collect valuables. All of these contributions have highlighted that we really are a ‘Family’ club. Our Bar and Kitchen staff have also done a tremendous job in providing a great impression of our club. Having said all of that, the flip side of having a successful opening and a high level of bookings, is that on Saturday evenings the bar is typically ‘closed off’ from around 7pm. We do our best to ensure that the expectations of guests are managed and that they are aware that Saturday afternoons is generally the busiest time in the club for our members. From time to time (like the Wedding in October), there may be occasions when we set up a ‘Wet Bar’ and Canteen downstairs. The re-development of the clubrooms and the creation of the Rescue Ready Shed have facilitated other options in these circumstances. However, it is important to recognise that the Club does exist for its members & whilst we do have some commercial realities with a financial commitment that a redevelopment generates, we try and strike a balance. As mentioned earlier the coming month is a busy one for us, with a 21st Birthday Party for a past Junior member this Saturday (10th November) and a 40th Birthday party for 150 guests on the following Saturday (17th November). Both of these functions will commence from 7.30pm. We will endeavour to keep all members well informed of future Saturday night functions in upcoming Newsletters. We thank you for your support and are looking to continued success in our new look facility. Long time Member Raelene is looking for volunteers to help work on the BBQ at Glenelg for the upcoming Lifesaving World Championships. The club has been allocated 3 days Tues 27th, Wed 28th (Wed is covered already) and Thurs 29th November from 9-5. We are looking to create 2×4 hour shifts each day. A free t-shirt and lunch is up for grabs! 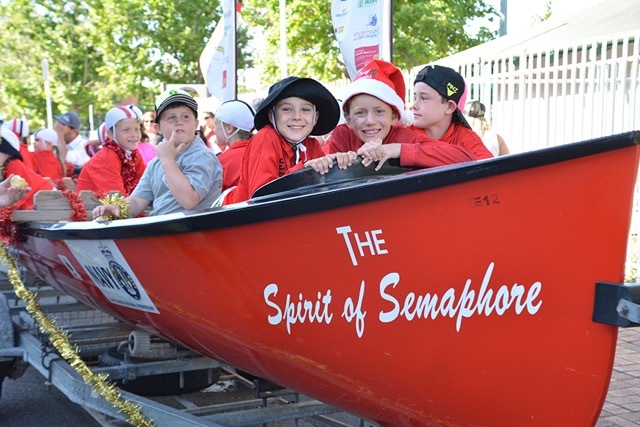 Port Christmas Pageant – Come and join the fun! We will be entering a float at this year’s Port Adelaide Christmas Pageant, which is being held on Saturday November 17th in Port Adelaide. It would be great to have as many Juniors and Seniors marching as possible. We understand that its the night before the first Carnival but we are expected to be finished by 7pm. We will be towing one Surf Boat and will take up to ten juniors in the boat. Names will be taken on a first come first served basis but with priority placed on the younger children getting preference over the older kids. We would love to see any SRC’s and Bronzies in uniform to assist in supervising while the floats are in motion!!! Sorry mums/dad’s with younger kids your attendance will also be required!! Patrol hats and shirts for seniors and patrolling members. Optional tinsel and Christmas decorations – that’s up to you. More info will be supplied soon. https://i1.wp.com/semaphoreslsc.com.au/wp-content/uploads/2018/10/Christmas-pageant.jpg?fit=640%2C427 427 640 Kate Newman http://semaphoreslsc.com.au/wp-content/uploads/2014/02/picmonkey_image-1.jpg Kate Newman2018-10-30 21:14:512018-11-06 21:31:05Port Christmas Pageant - Come and join the fun! Semaphore Surf Life Saving Club was excited to be able to open its doors to the first Bulk Bronze Assessment on Saturday 20 October 2018. 18 young people stepped from SRC to Bronze Medallion Holder from 3 separate clubs. The majority completed their Logbook by 5pm on the day. Congratulations to all and welcome to being a Bronze Medallion Holder at Semaphore Emily, Taya, Cameron, Jasmin, Brigid, Mykenzie, Emma, Charlize. We look forward to having you continue to patrol our beaches. Good luck to our 3 SRC’s undertaking their assessment on 28 October 2018. Those interested in gaining any qualifications this year please email Jennie on instuctor@semaphoreslsc.com.au please note Bronze and SRC training is taking place most weekends and we can organise to link you in. As reinforced at muster last Saturday no bags/backpacks are to be left upstairs on the landing under any circumstances. Bags can be left under the stairs where they are not a hazard for members or visitors. Please help us keep our new club safe and tidy. Any bags left upstairs will removed as they are a safety hazard. The first Junior Carnival is on Sunday 18th November at Glenelg. Next week your Age Group Managers will be requesting nominations for this Carnival. It is important that you consider your response as this year SLSSA will not allow late entries. Only the nominated juniors entered into the Event System will be allowed to compete. Conversely if you nominate and don’t show you may adversely effect a team event. The events scheduled for this Carnival are shown below.